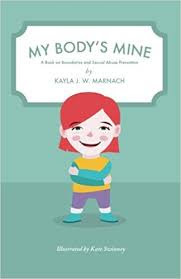 My Body's Mine helps children learn they have the rights to their body. Told through rhyme from a child's point of view this book on boundaries empowers each child to say no when others approach them in ways that make them uncomfortable. It also gives clear instructions on what to do if they are approached in an unwanted manner. 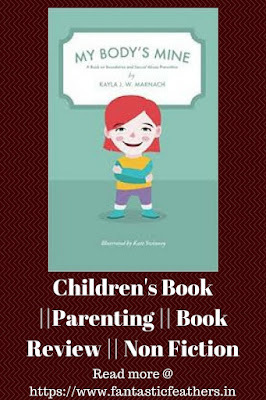 The questions at the end of the book provides an easy transition for counselors and parents to open a discussion to prevent abuse or to further explore if abuse has occurred. From head to toe,My Body's mine.I love my bodyand it's all mine. The words are simple and rhyming. The book teaches about what is ok and what is not when someone touches our body. What should we do when someone touches us in an inappropriate way. This book also talks about whom to trust and who is safe to ask for help. 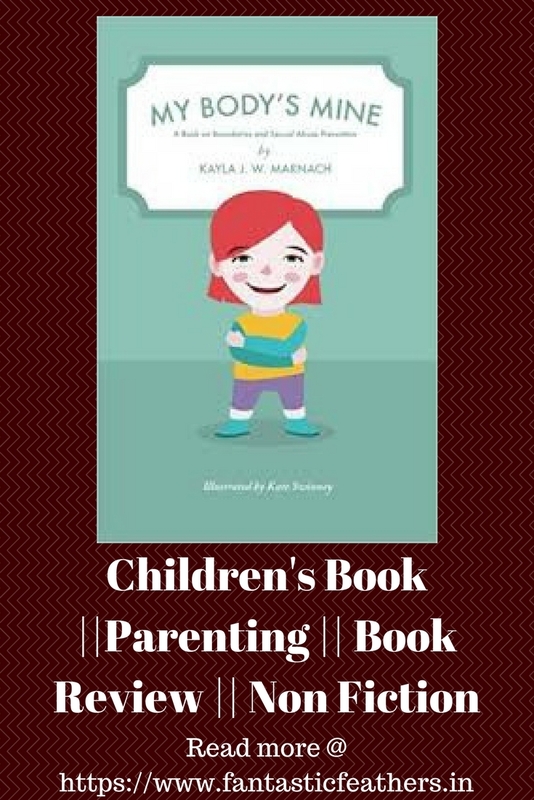 The bonus/ I would say the most useful section of the book is the questions to discuss with your child. After reading through the book we can ask questions listed at the end of the book to initiate a discussion and know how much they actually understood. The illustrations by Kate are simple and cute with pleasing light colors. 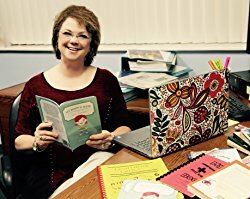 I am sure this book connects to the readers (parents and kids) and helps them to discuss freely on sexual abuse. This book is a part of 'Can-Do' series and I recommend other books in the series as well - "My Actions Matter" and "I Can do that". This series of books sparks conversation with children. They teach positivity helping children to explore ways to learn and manage themselves when they have emotions like disappointment/ anger. I recommend this book to all parents who want to discuss sexual abuse with children.